GE Global Service Center is Coming to the Banks! The General Electric Global Service Center is coming to The Banks in downtown Cincinnati. The new office building will be located near the Freedom Center. The center is expected to bring 1,400 new jobs to Cincinnati for information technology and finance services. Watch a Channel 9 news video story here about this development. Christine Schoonover of Sibcy Cline’s Metropolitan office was interviewed about housing availability in downtown Cincinnati and Northern Kentucky. 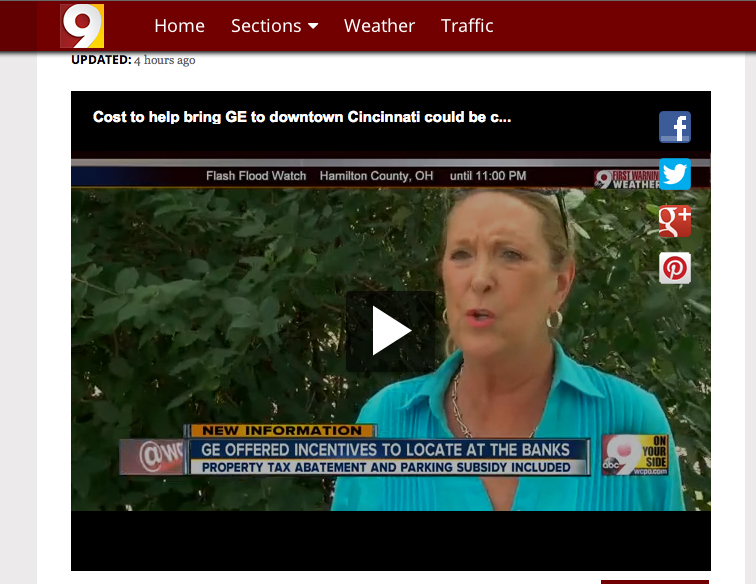 This entry was posted in Communities and tagged downtown Cincinnati housing, General Electric, Live in downtown Cincinnati, The Banks by susanaknabe. Bookmark the permalink.